Halloween Decorations are an important part of your Halloween party planning. 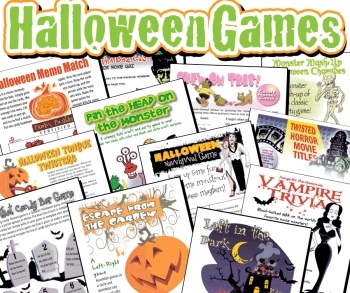 Whether Halloween party themes are scary or not, Halloween party decorations are an area where you can have lots of fun! First, you'll want to keep in mind who will be coming to the party when you are planning your decorations. For kids, it is best to stay away from the gory, scary stuff. There may be one in the bunch who doesn't want to enter, even knowing it is party, because it is too creepy. 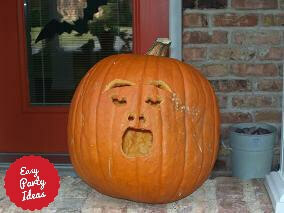 There are lots of ways to make your decorations for Halloween fun and enjoyable to everyone. Cover your Halloween party food table with a black, orange or purple tablecloth, and cover with plastic spiders, worms, and cobwebs. For an elegant look, add beautifully colored fall leaves to your table. Serve Halloween party food or drinks from beakers, or set up beakers and test tubes on the party food table for that mad scientist effect. A few days before the party, peel and carve apples into heads. Let them air dry and they will turn into shrunken heads! Use orange and black streamers and balloons to add a festive touch to your Halloween party decorations. Don't limit yourself to orange and black...see how pretty this Halloween floral arrangement looks using purple, yellow and other fall colors? Place cobwebs and spiders all around your party area. Bags of “cobwebs” are inexpensive at most party stores. 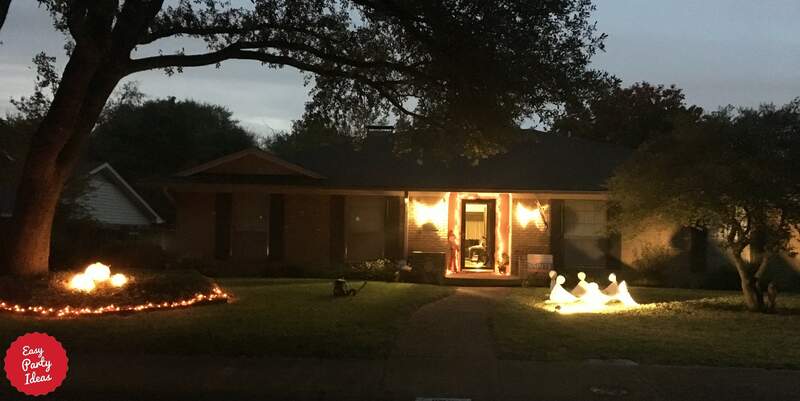 Create dancing ghosts in your yard. To make a ghost, place a round Styrofoam piece on a dowel and insert into the ground. Cover the round styrofoam with a yard of white material, and tie at the bottom of the ball. Tie the "hands" of the ghosts together so they can play "ring around the rosie!" Create a graveyard in your yard to greet guests. Make tombstones by painting thick pieces of cardboard, thin sheets of plywood or even covered cereal boxes. You can also paint large pieces of Styrofoam and anchor them in the ground with narrow dowels. 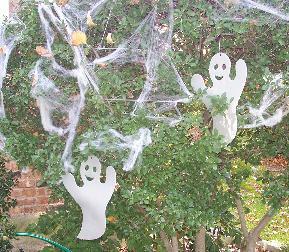 An extra special touch to your Halloween decorations would be a picket or iron fence running around the "graves." Orange, black, purple and white lights are great for Halloween. Think of it is an early start to Christmas decorating (that is if you use multiple colors at Christmas!) Halloween party lights can really add a great touch. 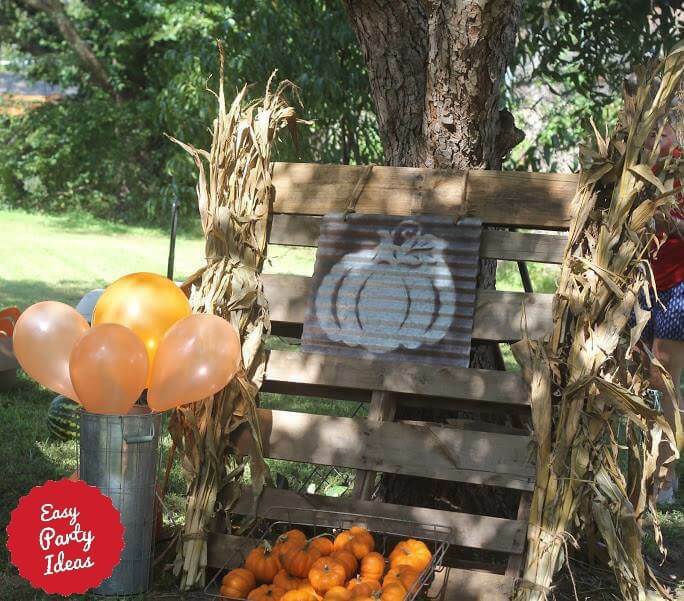 Use hay bales, mums and pumpkins in your party landscape. Hang bats from the ceiling or trees. Jack-o-lanterns! You can use candles or battery operated candles to light. Read about candle safety here. If having your party indoors, cover your furniture with white sheets. Gives it that spooky haunted house effect. Don’t forget that you can use black lights. Using these light bulbs will make everything that is white and neon glow! Post signs that say "Beware!" 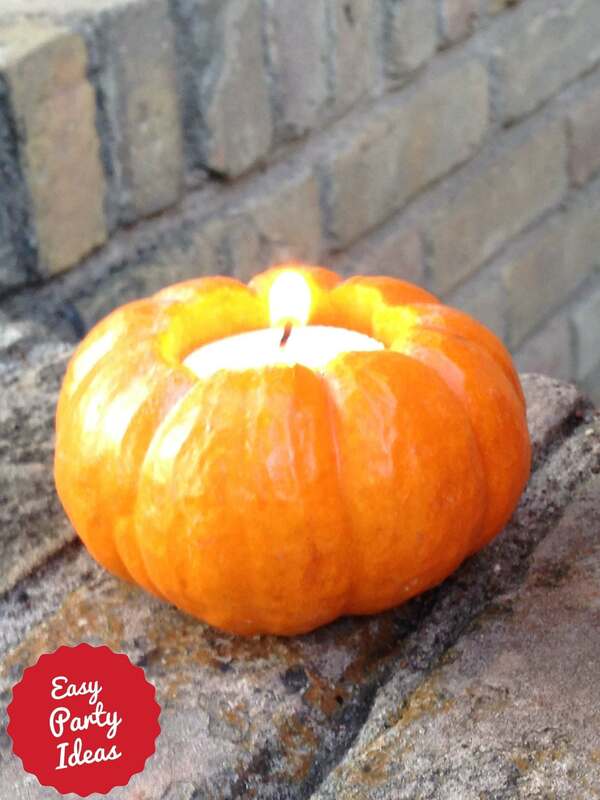 Carve tiny pumpkins to hold candles. 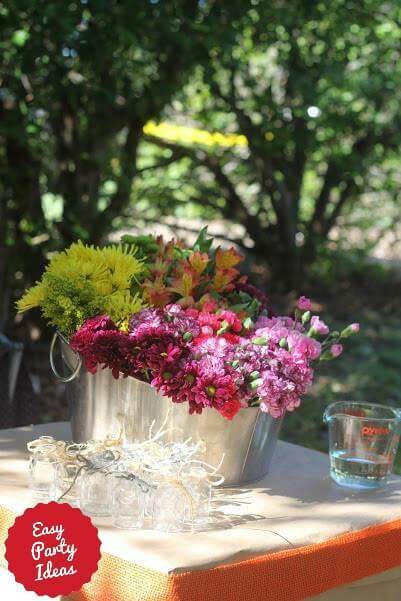 Centerpieces can be made from dead flowers. A couple of weeks before a party, save a bouquet of roses and let them dry up, or check with your florist for old flowers that they will be throwing out anyway. You could also spray paint silk flowers black. Add some twisted, gnarled tree branches to your party decorations. Even better if you add a black raven sitting on the branches. Fill buckets or tubs halfway with warm water and add dry ice so that the water covers the ice. Remember that dry ice should not be touched. If there are children at the party make sure that dry ice is out of reach or use a fog machine. Make glowing ghosts by inserting a glowing glow stick inside white balloons before inflating. Cover each balloon with a small white sheet, white trash bag or white tulle and hang or place around the party area. Play Halloween party music. When they say music is the international language they aren't kidding! Nothing says "spooky" or "party" like the music you play. 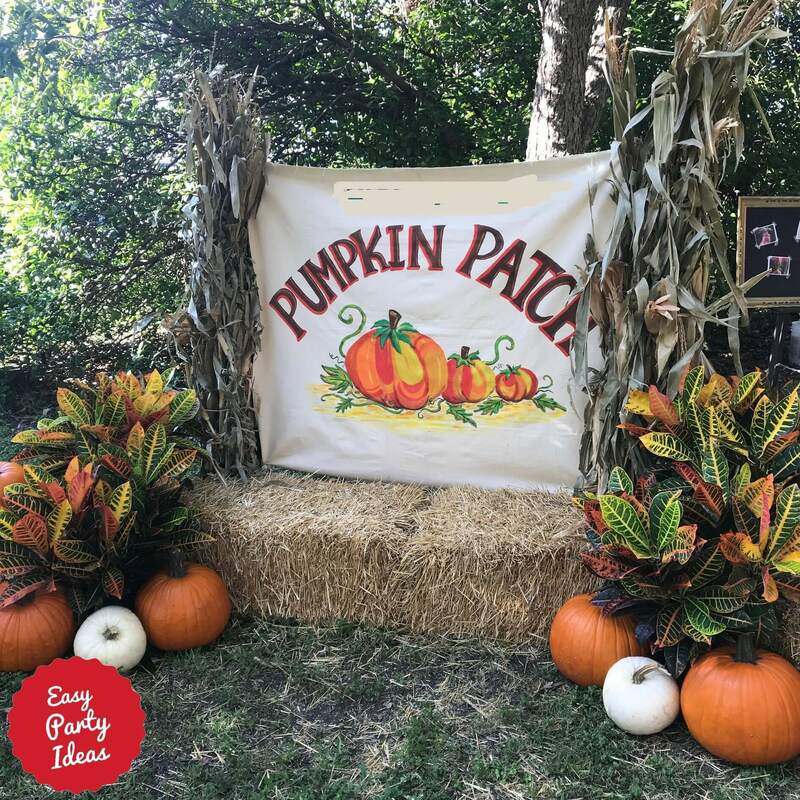 These Fall Photo Backdrops are a must for your Halloween party! After October 31st, find a good place to store all your Halloween party props and Halloween decorations so you can use them again and again! Here are some ideas on how to store your decorations. 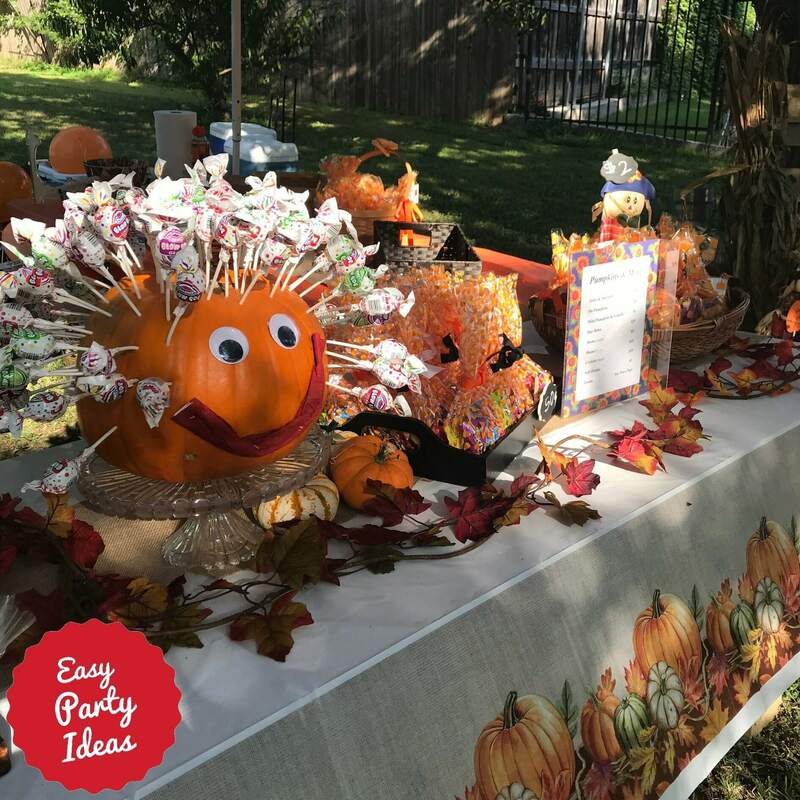 Some items, like hay bales, scarecrows, and fall mums, aren't just for Halloween themed parties. 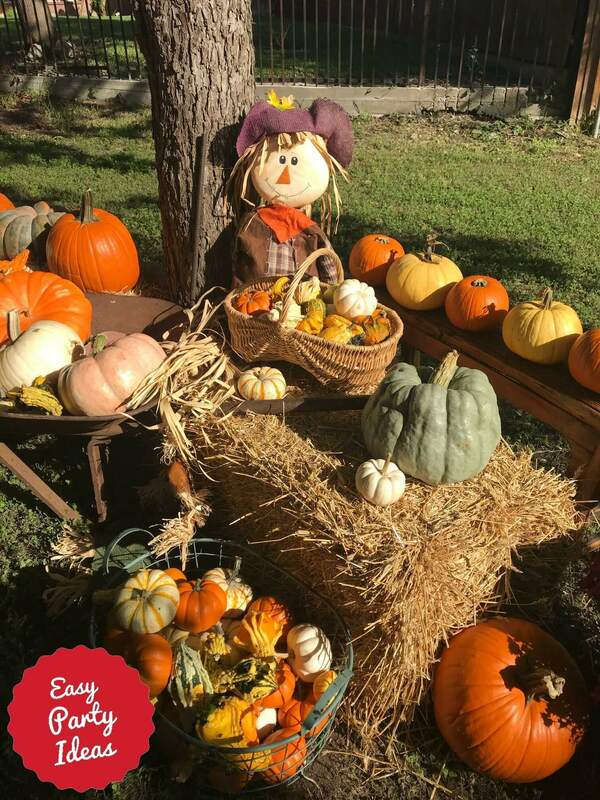 These Halloween decorations can be left up as part of your Thanksgiving decorations. 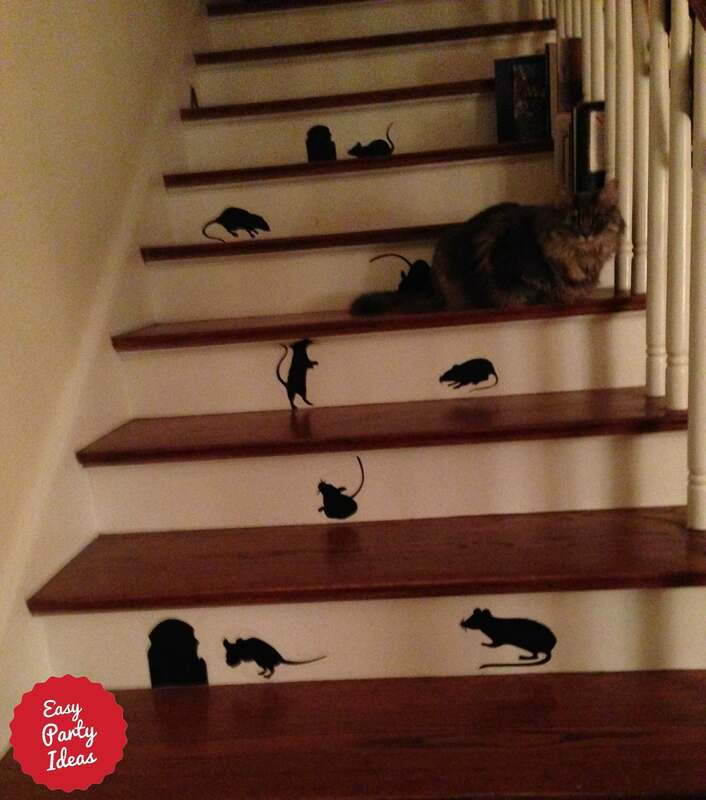 Have fun with your Halloween party decorating!